Special Education Team of IDEA, the Interior Distance Education of Alaska program of the Galena City School District. The team members are: Debbie Lockard, Leanne Grover, Crystal Ison, Shirley Kempski, Barb Laucius, and Merian Werth. Tesh Miller-Gray from Hoonah City School District. The Governor’s Council on Disabilities & Special Education has established an annual award to be given at the Annual State Special Education Conference each February. 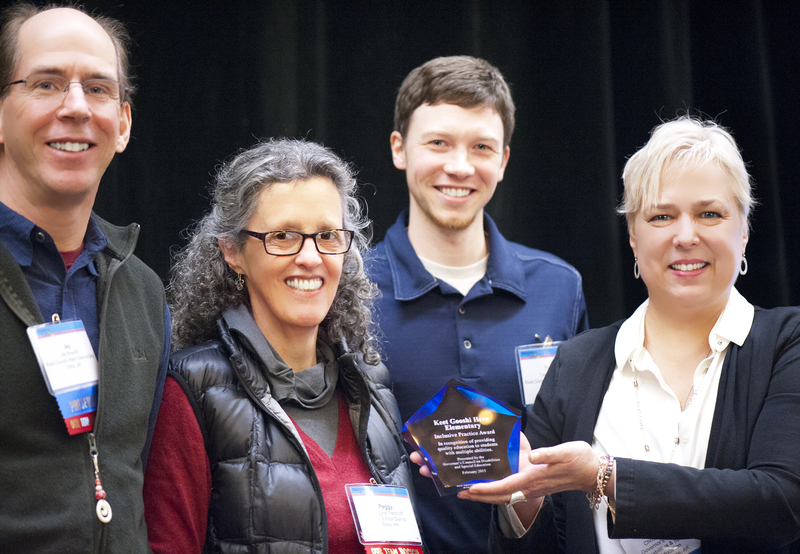 For the last 15 years, the Inclusive Practice Award has honored outstanding educators who work to ensure students with disabilities have the opportunity for an inclusive education with their peers as part of the general education curriculum and school community. Whereas numerous educators deserve recognition for a multitude of reasons, the focus of this award is exclusively on exemplary inclusive practices. New this year, an additional award will be given specifically to a special education paraeducator that exemplifies best practices in supporting students in classrooms. Parents, students and school personnel are encouraged to nominate an outstanding educator or team, or paraeducator who demonstrate inclusive practices by completing the nomination form found on the Governor’s Council website, below, and returning it to the Governor's Council by 5:00 p.m. on Friday, January 4, 2019. Modifying curricula or providing support services that enables access to the general curriculum, classroom or school community.